While the news surrounding the Cleveland Cavaliers so far this offseason has primarily been focused on the Cavs seeking to bring in additional star power, the front office is also focused on adding some much-needed role players to the roster. 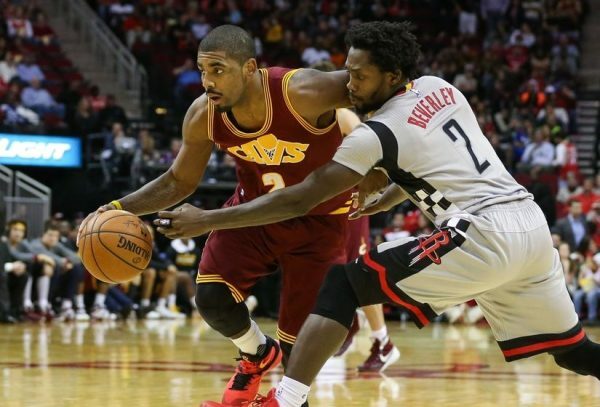 According to ESPN‘s Dave McMenamin, Cavs assistant general manager Koby Altman and the Cavs front office are highly interested in point guard Patrick Beverley. Beverley averaged 30.7 minutes per game last season with the Houston Rockets, and averaged a respectable 9.5 points, 5.9 rebounds, and 4.2 assists per game in a game plan dominated by high-volume star James Harden. While the chances appear slim, if the Cavs were able to make this trade work, his 38.2 percent scoring from the three-point line, and his ability to give Kyrie Irving much-needed in-game rest would certainly add another weapon to Cleveland’s talented depth chart.